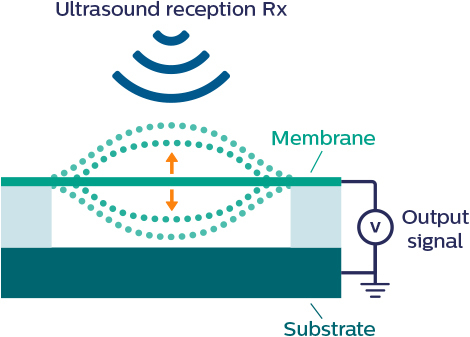 CMUTs – capacitive micromachined ultrasonic transducers – is a breakthrough ultrasound technology. 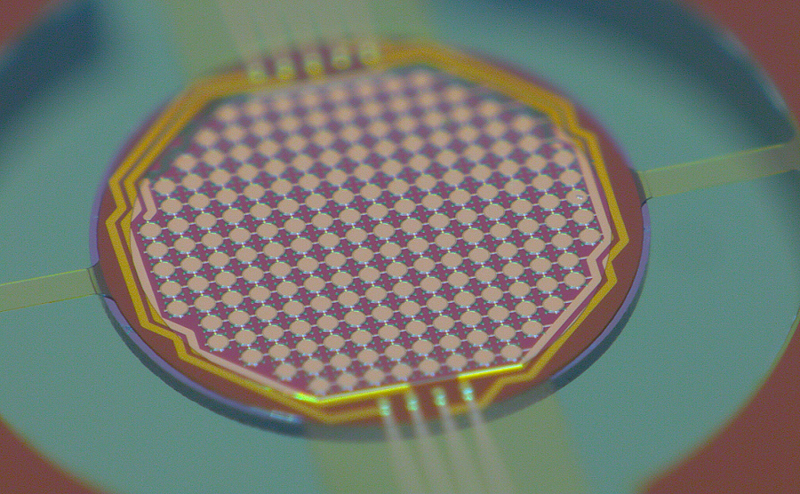 CMUT transducers are MEMS based structures that can be used to transmit and receive acoustic signals in the ultrasonic range. 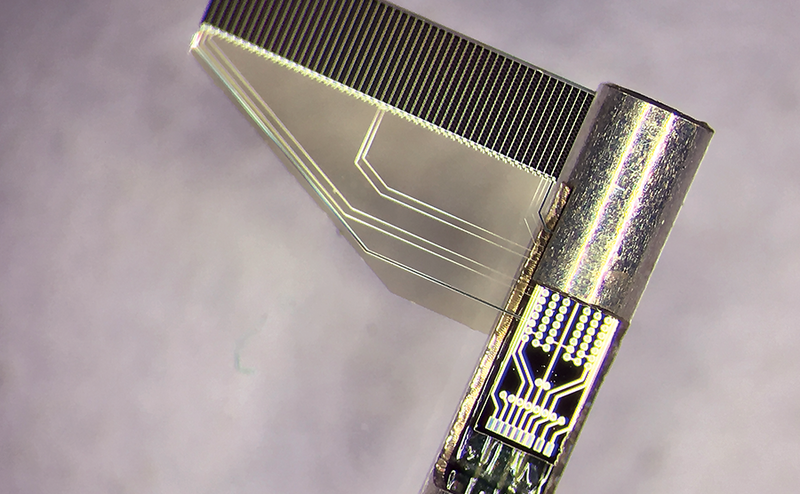 They enable breakthrough applications for ultrasound technology in a diverse range of industries such as medical, microscopy, inkjet printin and testing among others. 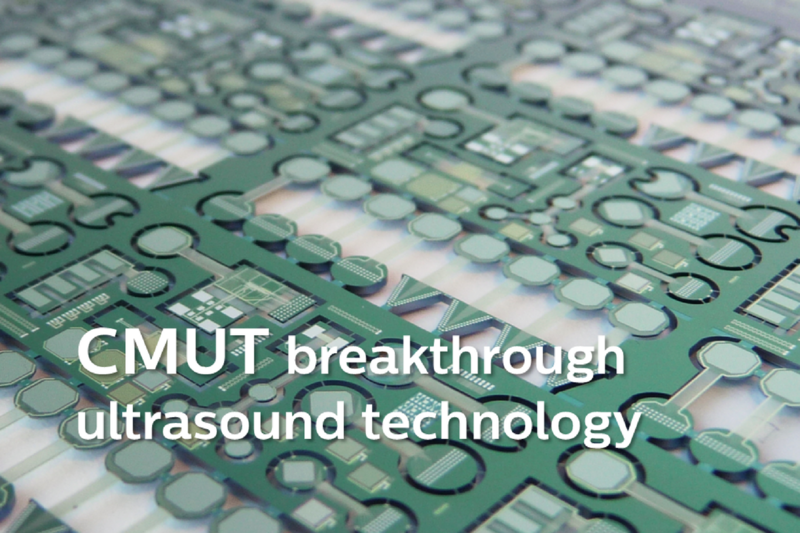 Compared to conventional technology, CMUT ultrasound transducers convey numerous advantages such as large bandwidth, easy fabrication of large arrays, and integration with driver circuitry: CMUT-on-CMOS. -40 °C up to 200 °C (up to 250 °C with application-specific design). Protective stacks available for various applications, scratch- and impact-resistant. Resistant against substances like sulfuric acid (98%), ammonia water, sodium hydroxide, sodium oxalate, acetone, ethanol. Exact device capabilities depend on design parameters and material choices. Our CMUT experts with over 10 years of experience are here to think along with you and make innovation work with clever new technology designs. What is the principle of operation of a CMUT? The basic element of a CMUT array is a parallel-plate capacitor. One plate is fixed, the other plate is supported by a flexible membrane. In receiving mode, an ultrasonic wave causes membrane vibration and a change of capacitance, which can be detected. In transmitting mode, an alternating voltage is applied between the membrane and the substrate back plate. 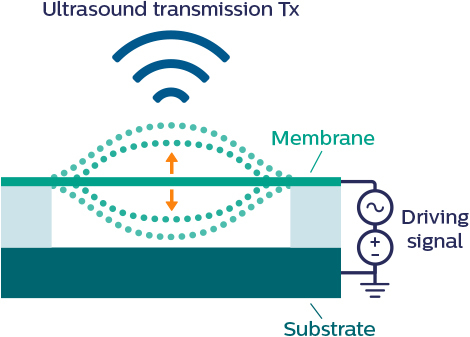 The resulting electrostatic forces cause vibration of the membrane, sending out ultrasound at the frequency of modulation. CMUTs - Capacitive Micromachined Ultrasonic Transducers can be used in a series of industries and applications. Here you see some examples of CMUT arrays that we've developed together with our partners. Imagine what could be possible with CMUT technology. Are you curious about new CMUT sensors and transducer technology? Are you interested in learning more about the design and manufacturing of CMUT devices? Are you on the lookout for the newest technologies in town? Our CMUT experts are here to think along with you and accelerate your innovation with clever new technology designs. We have been working on CMUT technology for over 10 years now, and we are ready to share our CMUT knowledge with you. 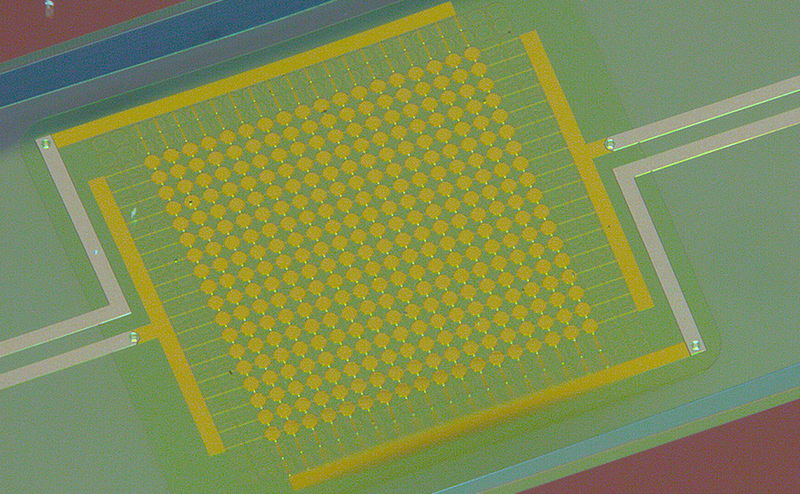 Interested in additional MEMS Foundry services? We offer several MEMS Foundry services that are also involved in the manufacturing of CMUT devices. Check out our additional services here as well as other relevant MEMS applications. 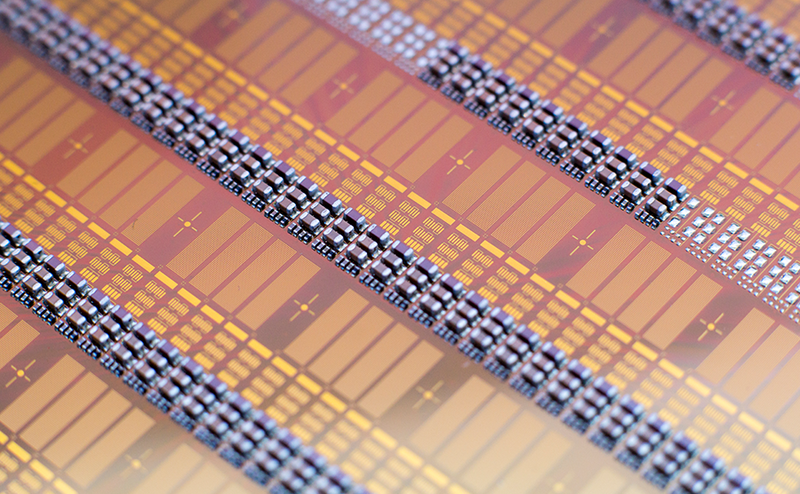 We are Philips Innovation Services and we operate a state-of-the-art 2,650 m² pure-play MEMS foundry in Eindhoven, the Netherlands. 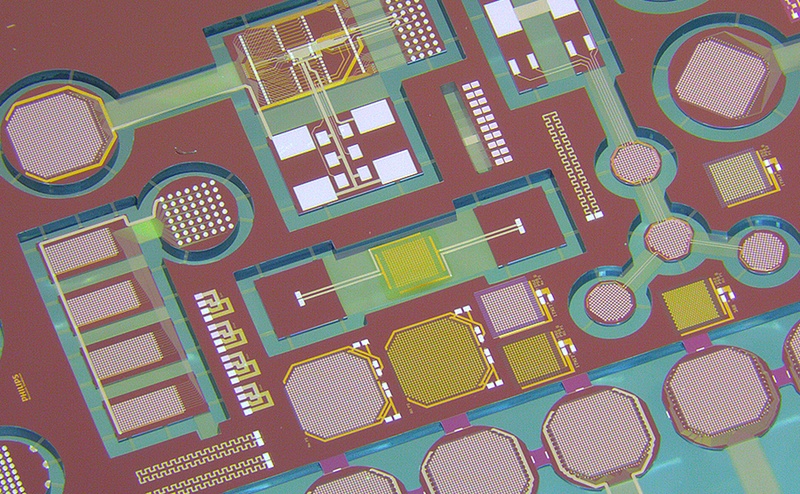 We offer in-house MEMS & Micro Devices services. 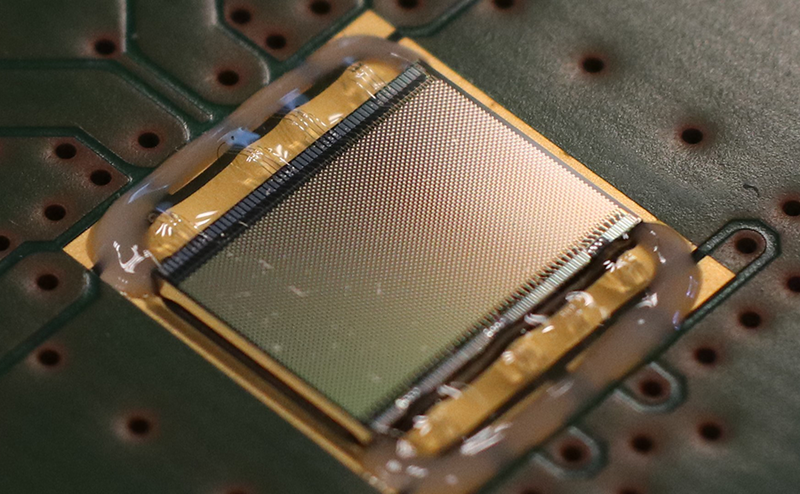 At the MEMS Foundry and Micro Devices Facility we offer advanced prototyping, development and volume manufacturing services for capacitive micromachined ultrasonic transducers (CMUTs), both for components and for complete module assemblies. 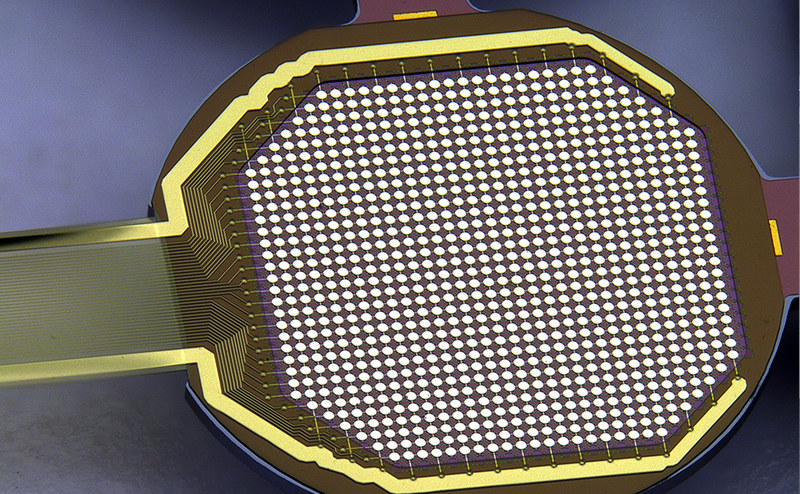 Our CMUT technology enables high volume ultrasound transducer manufacturing and high levels of integration at a lower cost. You benefit from our expertise, built from developing and manufacturing a range of CMUT array devices. Our CMUT technology platform shortens design cycles and therefore your time-to-market. 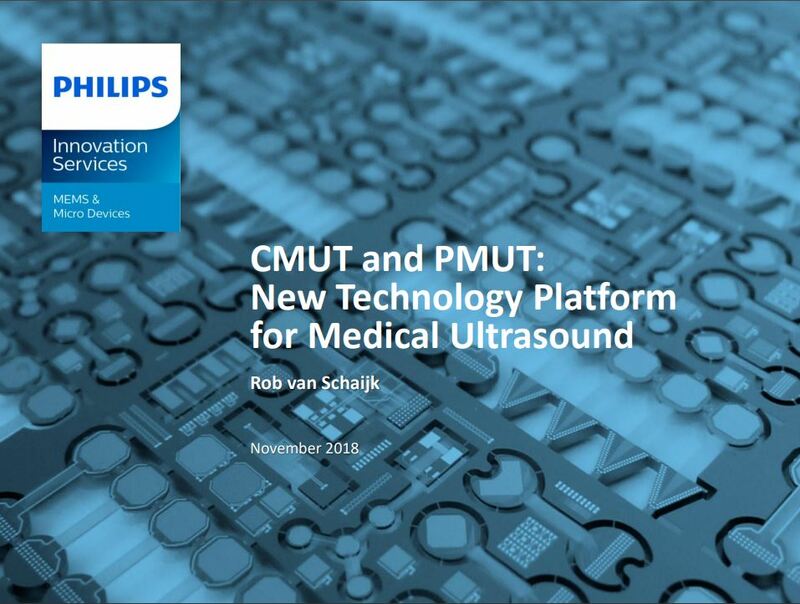 Partnering with Philips Innovation Services is the quickest way to obtain a reliable CMUT device. Check out our services in the MEMS & Micro Devices key area of expertise.